Happy Mothers Day To All You Momma's And Momma Cats! Happy Mother's Day to you, Yasmine, and to all Cat Moms! 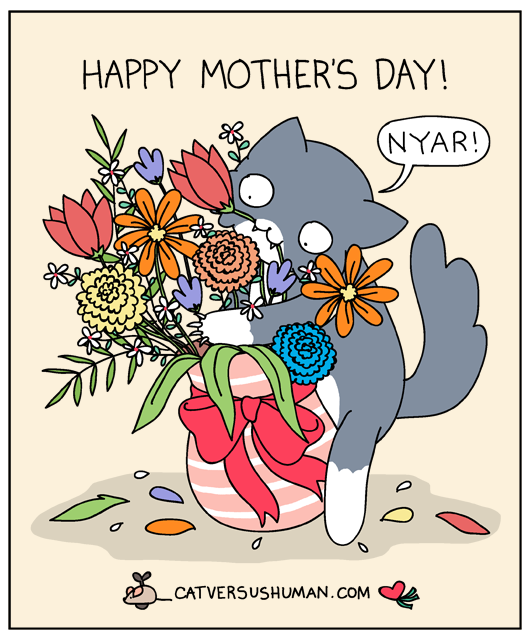 Your cartoon reminds me of our beloved Nicolas T. Cat, who loved to munch on bouquets. Adorable picture, totally my cats:). Please make an Instagram !!! ❤️ Your work !! !